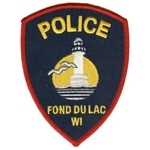 Lab tests show a man who died while he was in police custody in Fond du Lac had twice as much cocaine in his blood as the normal overdose victim. The Fond du Lac County District Attorney says Christopher Cary died of “acute cocaine toxicity.” He died two days before Christmas just a few minutes after a traffic stop. Investigators say Cary swallowed the cocaine in an effort to get rid of evidence. The man started showing signs of medical distress shortly after he was put in the back seat of a squad car.